Friends of Sam Smith Park: VANDALISM IN PARK - WHAT TO DO? 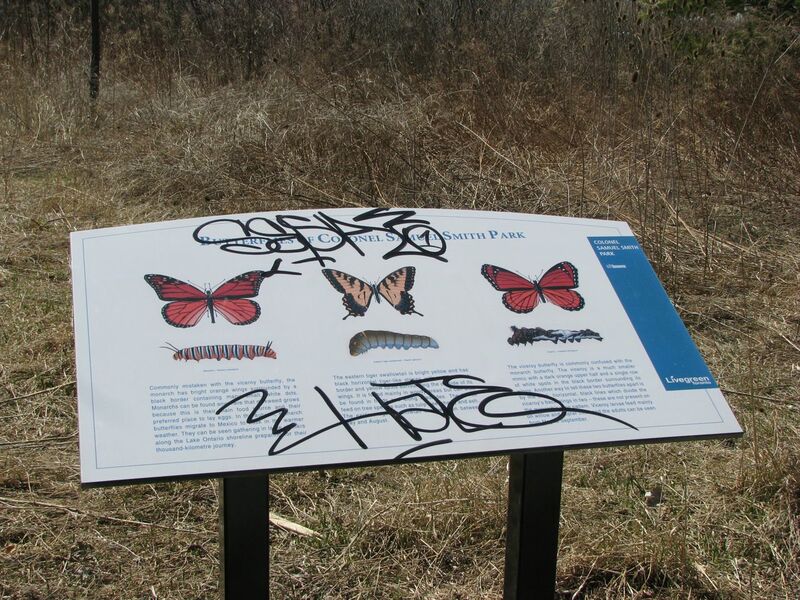 If you see vandalism in the park, please bring it to the attention of David Chapman, Parks Supervisor, Etobicoke York District. He can be reached at 416 394 5413 or by e-mail. The graffiti on the new nature interpretive signs has been reported by FOSS and David has told us that it will be taken care of as soon as possible. The graffiti has been removed and the sign looks like new!